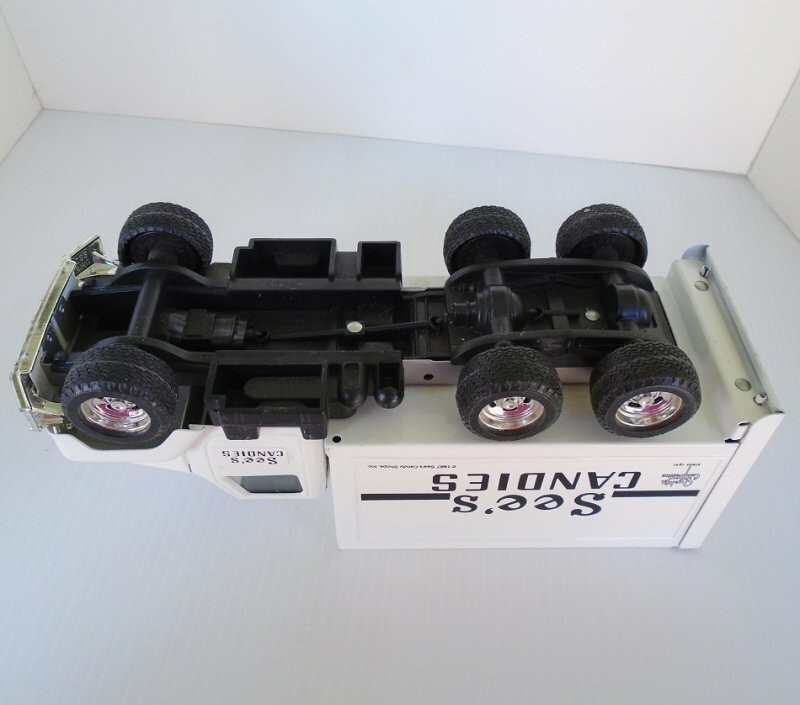 ERTL model 3605 limited edition See's Candies delivery truck. Has unique production number. Probably 1980s. Approx 10 by 3 by 4 inches. 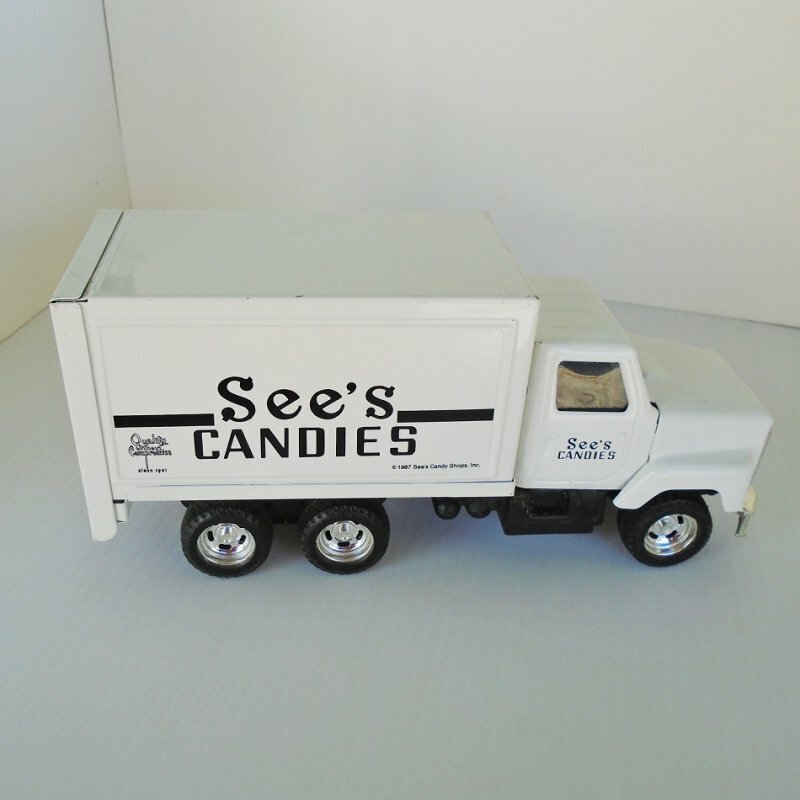 This See's Candies delivery truck was made by ERTL and is their model number 3605. This was a limited edition series and this truck carries the unique number of 2541. I do not know what the scale would be. I also do not know the date it was made as there are no dates on it anywhere. If I had to guess, I'd say probably late 1980s. There is no original box. It is metal. 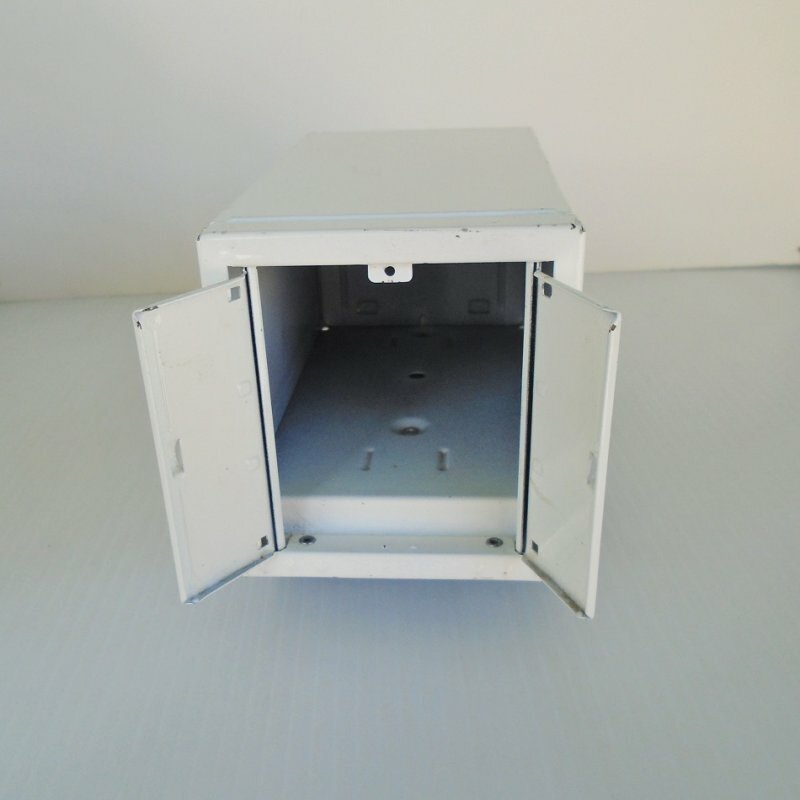 It measures 10.25 inches front to back, 3.25 inches side to side, and stands 4.25 inches tall. Both back doors open and all six wheels roll freely. Structurally, there are no dents, scratches, or breakage. 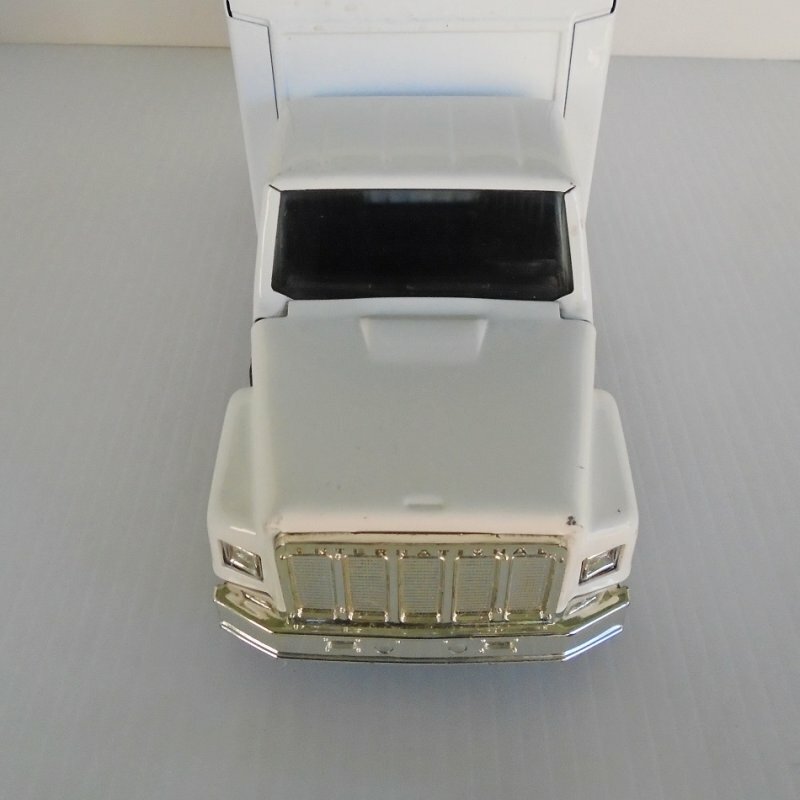 There are four or five small chips in the white paint, they are too small to give you a measurement on but if you look at my photo of the front that is below, the chips on each corner of the hood are the largest ones. Also, on one side there are a couple of nics in the decal. I've also included a photo of this area. Now, the postal service has divided the United States in to 8 zones and each package is charged by weight, size, and destination zone. Now it is not possible to state a shipping cost and have it be valid regardless if the package is traveling 2 miles or all the way to the east coast. I am in Arizona and probably 90% of the packages I mail out go eastward, and a majority of them go all the way to the east coast. To complicate this even further, Google will not show items for sale unless they have a designated cost, or unless the seller uses calculated shipping. My web host is not equipped to figure calculated shipping, so I have to quote a shipping charge using the east coast as the final destination and then refund over payments. When I return the overage, I do it by including cash inside the package when it's shipped. My feedback page will show verification that I do return over payments. ERTL 3605 front hood showing nics. See's Candies delivery truck. Has unique production number. Probably 1980s. Approx 10 by 3 by 4 inches. ERTL 3605 with back doors open. See's Candies delivery truck. Has unique production number. Probably 1980s. Approx 10 by 3 by 4 inches. ERTL 3605 wheels. See's Candies delivery truck. Has unique production number. Probably 1980s. Approx 10 by 3 by 4 inches. ERTL 3605 showing defect in decal on one side. 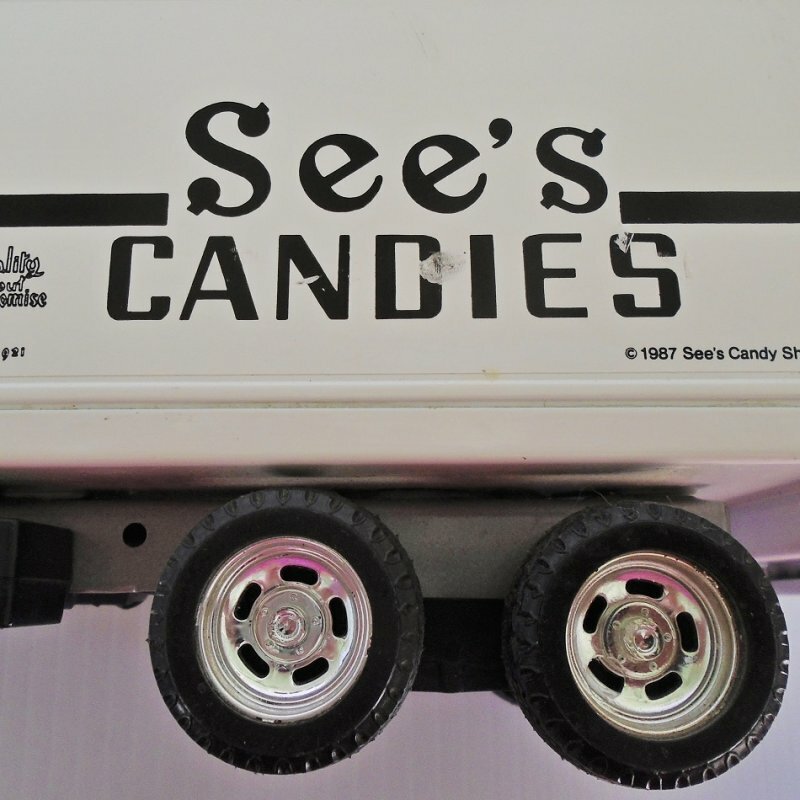 See's Candies delivery truck. Probably 1980s. Approx 10 by 3 by 4 inches.